Priscilla Hernandez is a very talented singer-songwriter, musician and fantasy artist. She comes from the Canary Islands but is now based in Barcelona. Priscilla Hernandez has been a good friend of mine for many years and I am a great admirer of her work, both visual and musical. You see Priscilla is a gifted singer-songwriter and musician, as well as a very talented artist. I thought I would take this opportunity to interview her. My name is Priscilla Hernandez, I'm an ethereal gothic/ambient singer-songwriter and composer and also fantasy illustrator born in the Canary Islands but now with residence in Barcelona (Spain). I'm an independent, freelance and label owner too. 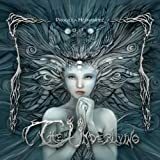 I won several independent music awards with my first release Ancient Shadows and I just released my second full CD The Underliving . Influenced, shaped, sparkled and touched by fantasy. I grew up collecting illustrated fairy and ghost tales... artists like Arthur Rackham, John Bauer, Edmund Dulac, books I treasured and I observed. I've always loved fantasy and supernatural literature. I find it also extremely romantic. I also happen to have sleep paralysis and grew up dealing with night horrors and a very vivid dream-life, this also spiced my work with that feeling of being in the boundary between sleep and awareness. I think my artwork is full of metaphors too and it's not always what it seems. My music is a film score I added vocals to. That's how I conceive it, I try to paint with music the landscapes my head creates in my mind, and thus I try to evolve and add different accents to it. Though the voice is my main instrument I keep on studying and learning new instruments, some rare and exotic and thus adding some sparks here and there to find my own signature. I'd say my music as my art is full of fantasy. Best moments in your career? The first time I was invited to perform in the USA and I travelled all the way to Oregon to Faerieworlds, it was like a hippy-fairy magic land and Brian Froud (an illustrator I've always admired) was there as a guest of honor too. I met lots of new friends that then became wolf-pack and family overseas... :) Also the first time I was on the cover of a magazine, and recently one sweet moment was performing in front of my brother Germán for the first time, he's always supported my career but hasn't seen me live with the ensemble, just messing about alone at home. What inspires you and who have you been influenced by? I like above all film music scores, it's what I seek for in my head when I create. I write stories, and I compose music for them as if they were a movie in my head. My favorite CD is The Dark Crystal soundtrack (fav movie too) and that's the music that really moves me. Vocally I have been greatly influenced by British band Tears for Fears, in fact I think I learnt to sing with Roland Orzabal trying to mimic really weird things he used to make with the voice LOL (he can sing opera did you know?) so he was right at my key most of the time. I just released my second album THE UNDERLIVING , it's a fully illustrated project with 52 pages of drawings and artwork as well as 18 songs. It's been a really huge effort and l have learnt to play so many musical instruments - in this release I played up to 15 different ones. So now I'm in the middle of the promotion of the release and also preparing some singles and remixes that though they weren't included in the album should be uploaded some time from now. I want to make a smaller and simpler EP. out of them in 2012 and then sit down to rescue "Yidneth" my comic and work in the third installment of the illustrated music CD series. Hopefully also to grow my band and seek for more gigs and performing spots. Well, I sell my music albums and crafts and original artworks at my store http://priscillahernandez.com/shop and I'm my own representative so if you want to support my art I'd really like you to consider purchasing copies of my albums, or artwork. I really fight for my dream, and I've made a lot of struggle and sacrifice to offer my spirit and soul in what I do, but also willingly because It's what nourishes my soul and makes me go ahead with a dream worth fighting for. I'm also making ustream live concerts for the audience, so please stay tuned in my site and networks for the broadcasts, so you can see me playing live in the webcam and chat along. 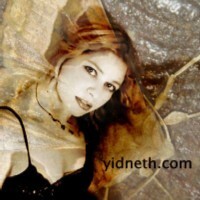 Please if you like what you see/hear at my website http://priscillahernandez.com or http://yidneth.com then please spread the word about it. American singer-songwriter and guitarist Lynn Carey Saylor is a good friend of Brian May of Queen.